With its simple yet classic bamboo appearence, Phyllostachys bissetti forms dense clumps of stems so is ideal for hedges or screening - perfect for patio or barbecue areas. This green bambo adds a real exotic look to UK gardens and who can resist that calming rustling sound bamboo makes in the breeze?! It is vigorous and slowly invasive, so great in large pots, or with plenty of space in lawns but can be managed easier than other varieties. It weathers very well in both a hot summer or a cold winter so will withstand our unpredictable British clime. Supplied as a 1.2-1.5m tall plant in a 5L pot ready to plant out or re-pot. 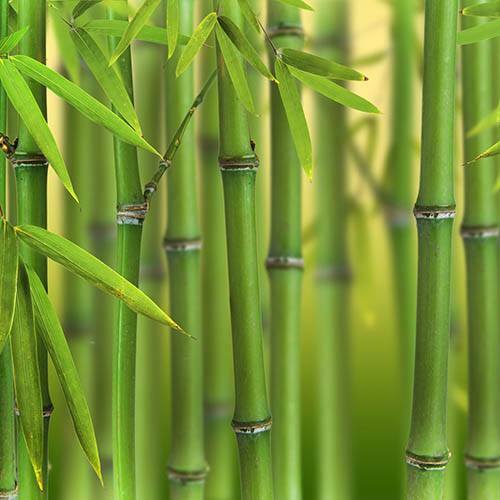 The best green bamboo there is, Bisset's Bamboo has risen to popularity in the last few years as it is one of the easiest, cleanest and most straightforward of bamboos. It forms dense clumps, so is ideal for hedges or screening off - great for patio or barbecue areas for an exotic look with the lovely rustling sound in the breeze. It is vigorous and slowly invasive, so best in large pots, or with plenty of space in lawns, but if you are planting near a wall or foundations, remember to use a physical barrier. It weathers very well in hot summer or cold winter, its plain green look being simple yet classic. Remove lower leaves to show off the canes to their best.